Robert Lustig’s 90-minute YouTube video “Sugar: The Bitter Truth”, has been viewed more than six million times. Now, in this much anticipated book, he documents the science and the politics that have led to the pandemic of chronic disease over the last 30 years. To help us lose weight and recover our health, Lustig presents personal strategies to readjust the key hormones that regulate hunger, reward, and stress; and societal strategies to improve the health of the next generation. 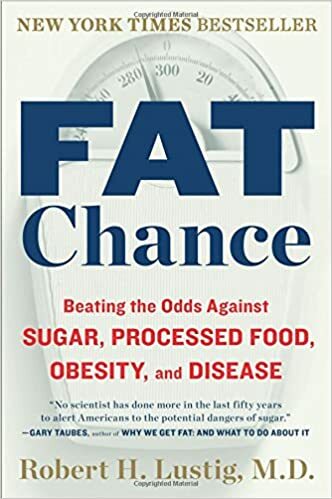 Compelling, controversial, and completely based in science, Fat Chance debunks the widely held notion to prove “a calorie is NOT a calorie.” More timely than ever now that newest edition of The Dietary Guidelines for Americans has for the first time placed hard limits on the amount of sugar we should consume, Fat Chance takes science to its logical conclusion to improve health worldwide.